MIMS Learning Live events bring you leading speakers talking passionately about their subject, tailored towards real-life primary care. MIMS Learning Live events give you free clinical education on a variety of topics, presented by engaging and enthusiastic experts. With plenty of time to discuss cases or specific situations, MIMS Learning Live events leave you with practical advice that you can take back to your practice. 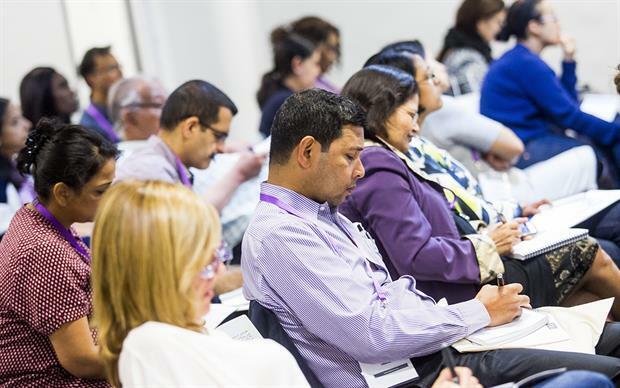 In 2018, in response to our delegate feedback, we're repeating our multi-stream clinical education events around the country, as well as offering two new types of education events. For the MIMS Learning Live multi-stream events, we pull together experts in a range of clinical specialties, and their application to general practice. In London, we offer a choice of four clinical streams, all highly relevant to primary care. At our regional events, we've hand-picked a selection of speakers to give you a full day of CPD learning. A fantastic opportunity to up-skill and be challenged with different ways of thinking and conducting consultations with patients. Excellent speakers, relevant to my daily practice and lots of top tips! Very slick organisation. Such a positive experience, from the staff at the front desk, to everyone on the programme – felt like I learned a lot! Really useful to clinical practice – already changed some of the ways I manage my patients.